In a typical welding bay, you often have overhead cranes, forklifts, jib cranes and a variety of material handling equipment that make it a challenge for many welding fume extractors to capture hazardous welding smoke and fumes. 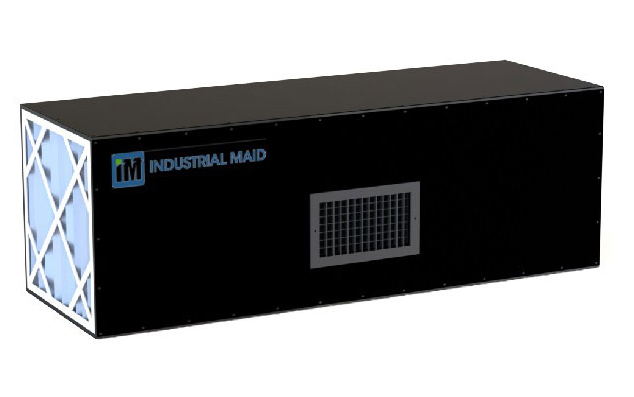 Industrial Maid has several tested and proven welding shop ventilation systems to combat these issues. Check out our T-Series Ambient Air Cleaners packaged welding fume extractors and welding air filtration systems and learn why they are quickly becoming the industry standard for controlling smoke and fumes in large fabrication shops across the US. 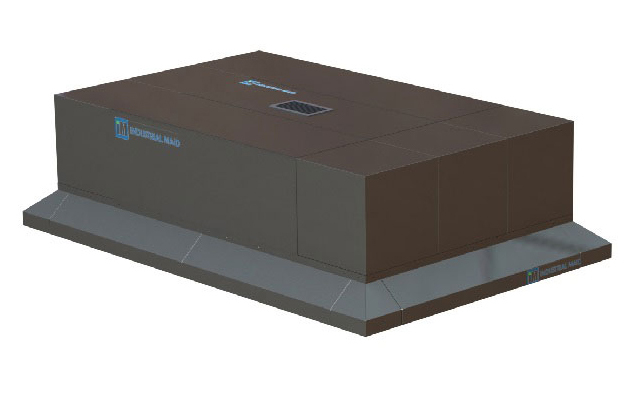 Our energy efficient industrial air cleaners provide a push-pull air pattern to keep the air quality in check, protect your welders, protect your assets and keep energy costs in control. Our variable frequency control packages help lower energy consumption, increase filter service life and extend the life of the electrical motors. Welders are exposed to risks every day in their work, from harmful welding fumes, to light to heat. These risks are a necessary part of the work, but they can also be reduced, or avoided by putting the proper precautions in place. The largest risk however, for welders, is the fumes that are given off during the welding process. If not contained and filtered properly, these fumes can cause brain, nervous system and lung damage—symptoms that can become more severe the longer the exposure is happening. Different types of base metals produce different particles with fumes—all of which are risky—but some that are riskier than others. For example, if the base metal is iron or mild steel, iron oxide may be a chemical exposure. Stainless steel produced welding fume can contain nickel and chromium and plated or painted metals may contain a chemical called cadmium, which is a coating that is frequently used to prevent rust on steel. And, almost all types of welding fumes will cause exposure to manganese—a dangerous chemical that can cause serious damage to the brain or nervous system. 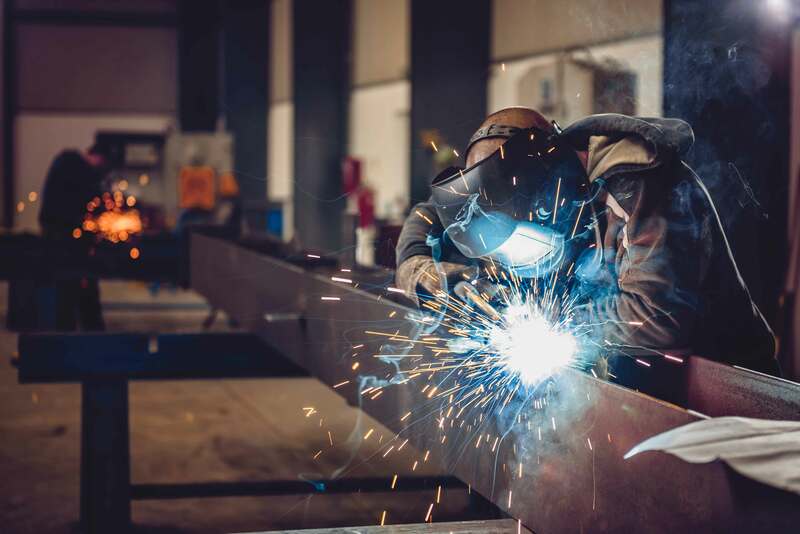 Beyond fumes, there are other risks like constant exposure to noise and ultraviolet light from arc welding, which can cause welder’s flash, a condition that causes damage to the cornea of your eye. Learn more about the risks of welding by reading our Welding Risks blog article. As a welder, or an employer of welders, you should understand the risks and hazards of welding fumes, lights and sound. It’s important that all welding surfaces are clean of any coating, residue, paint or solvent that could produce toxic fumes. It’s also important to position welders in an environment where they can avoid breathing welding fumes and gases—industrial air ventilation and ventilation products play a large role in this. For more information download the OSHA Fact Sheet on Controlling Hazardous Fume and Gases During Welding.